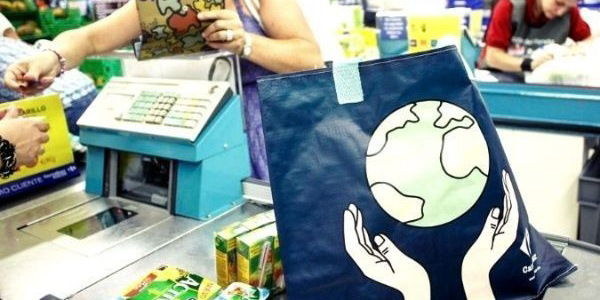 France plans to introduce a penalty system next year that would increase the cost of consumer goods with packaging made of non-recycled plastic, part of a pledge to use only recycled plastic nationwide by 2025, an environment ministry official said on Sunday. Under the new plan, products with recycled plastic packaging could cost up to 10 per cent less, while those containing non-recycled plastic up to 10 per cent more, Ms Poirson said. “For bottles, giving consumers a choice is possible. But we can’t forget other items – today there’s no recycled plastics available for yogurt pots,” he said. “We’re hoping that companies play the game so that clients aren’t the ones penalised” by the new measure, said Flore Berlingen of the association Zero Waste France. In a sign of growing public awareness of the problem, France is among several countries hit recently by a wave of “plastic attacks” – where shoppers dump all the packaging of their purchases outside stores. “When non-recycled plastic will cost more, that will eliminate much of the excessive packaging,” Ms Poirson said. France currently recycles around 25 per cent of its plastic, according to the magazine 60 Million Consumers. Plastic production has soared more than 40 per cent globally over the past 10 years, mainly for packaging.